DEFENCE secretary Gavin Williamson is facing calls from a coroner to do more to protect Britain’s troops following the suicide of a special forces veteran. 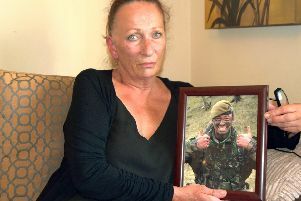 ‘Tortured soul’ Danny Johnston killed himself after he was left ‘destroyed’ by his 14-year army career, which saw him serve in war zones across the Middle East, Kosovo and Northern Ireland. The 35-year-old Corporal had been part of the UK’s elite Special Reconnaissance Regiment (SRR), the sister regiment of the famed SAS. Before that he was part of the Princess of Wales’s Royal Regiment, Portsmouth’s local infantry unit. On May 20, 2018, Mr Johnston disappeared from his family home in Bognor Regis, with his body being found on May 23 hanging from a tree in Stoughton woods, near Chichester. 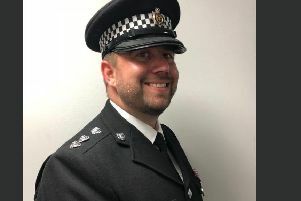 Now James Healey-Pratt, assistant coroner for West Sussex, vowed to write to Mr Williamson and urge him to improve the support for the nation’s service personnel to stop ‘future deaths’ and ‘tragedies like Danny’.